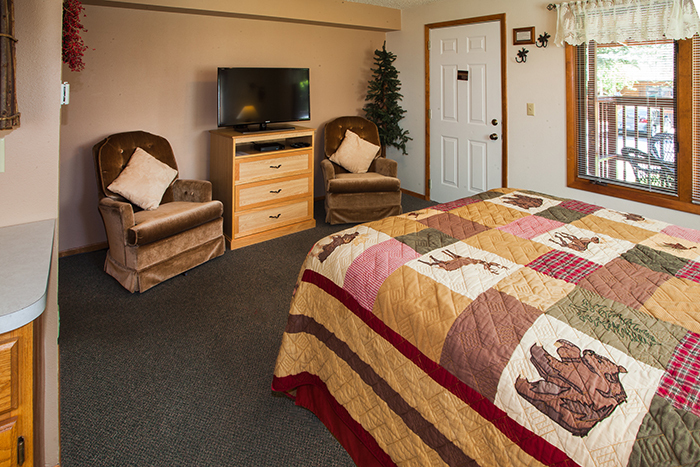 Take one step inside our Guest Suite, and you’ll soon realize why this suite is one of our most beloved of all Estes Park, Colorado lodging accommodations. 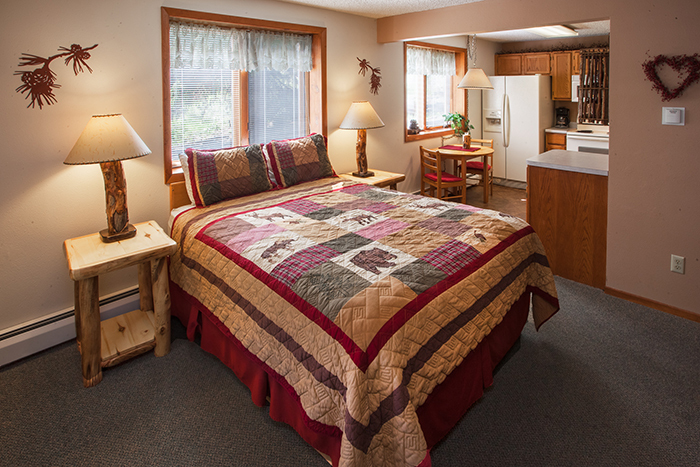 This unit is a lower level combination suite featuring a Queen-sized bed complete with a private patio with seating, perfect for kicking back and enjoying the world-class mountain scenery. 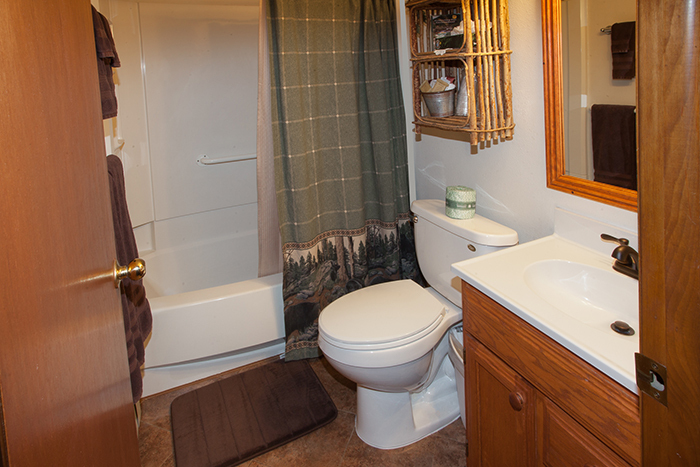 Along with the calm and inviting atmosphere of the décor, this suite includes a dining area complete with a full kitchen, a standard tub/shower combination bathroom and free Netflix for those chilly nights in. 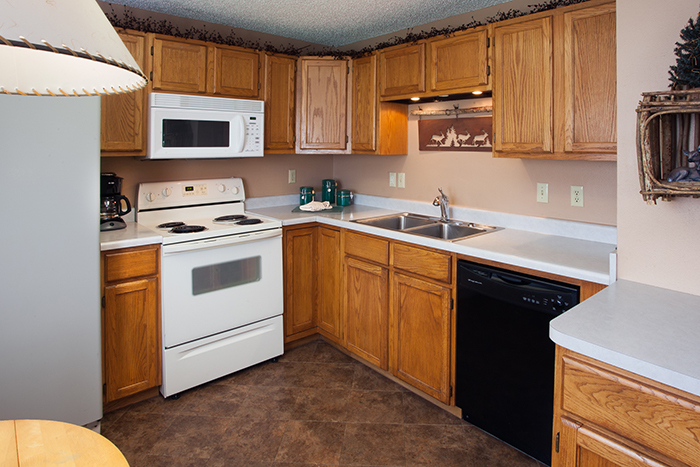 Whether you’d like to go hiking, fishing, or kayaking, however you decide to enjoy the outdoors you’ll be able to enjoy full access to the river from this unit. 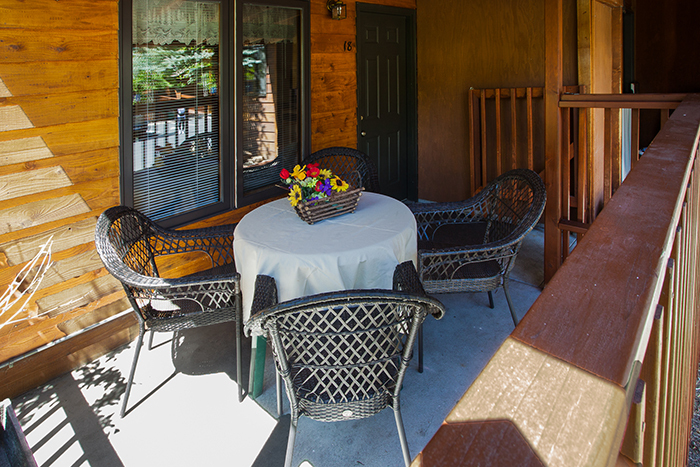 Choose the Guest Suite at Aspen Winds for a comprehensive lodging experience. 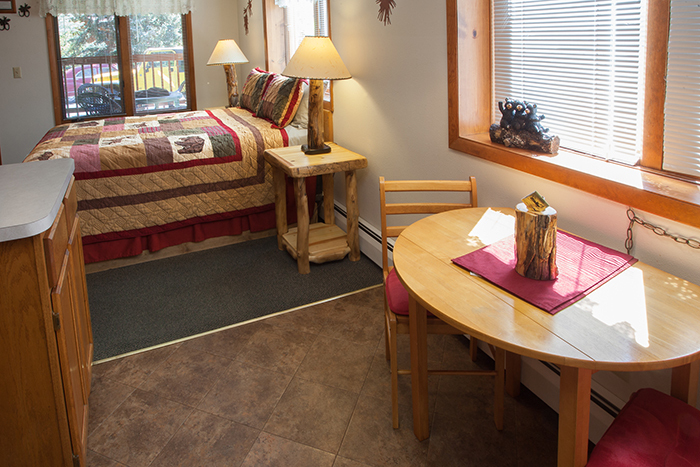 Book Online!